Dubai, United Arab Emirates, 10th April 2019: Smart cities will deploy a network of interactive sensors to achieve efficiency and innovation. Findings of a report by the International Data Corporation (IDC) indicates that spending on smart city technology is expected to grow to $135 billion by 2021. This was released in conjunction with Future Cities Show, which concluded today. The show was held in conjunction with the Annual Investment Meeting, and ran under the theme 'Propelling Globalization through Digital Transformation’. 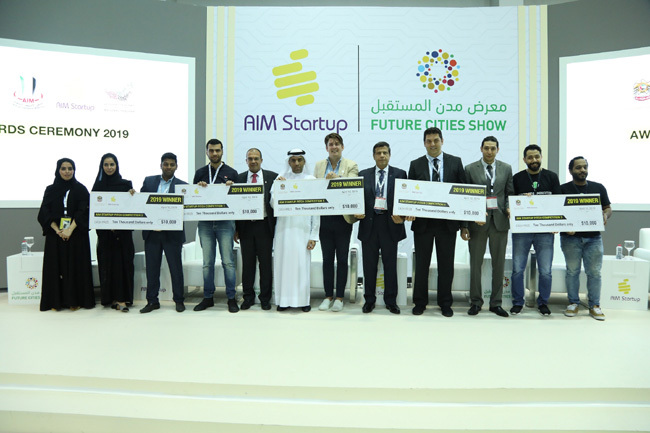 This year, the show hosted several public, private and individual entities that displayed innovative technologies at the show. Some of the key participants were Exelen- a solution provider that aims to provide high quality electronic solutions to its customers.With keycompetenciesas System Engineering FPGA Design Hardware/Firmware Development 3D Drawing Mechanics and system integration, Exelen encourages creative and innovative thinking in the delivery of innovative Electronic Solutions. Also, present at the show was Stallion AI that provides artificial services, solutions, and products to help organizations across different industries to implement AI. Speaking on the sidelines of the event, Samer Obeidat, Managing Director said, “AI machines can read and understand documents, recognize images, and analyze massive amount of data to capture patterns, produce insights, and predict the future. It is creating a huge economic impact in the region by reducing uncertainties and helping companies and governments take the right decisions. It helps them function smoothly and seamlessly, get fast and accurate feedback on products and services, interact better with customers and the public, and arrive at smart solutions. In fact, there is a USD 180 billion impact on the UAE alone, because of Artificial Intelligence (AI). AI is the future, it is now, and it is big.” The event this year also witnessed the presence ofKeo International and Taiger Singapore - which specialise in Knowledge Work Automation™ solutions. Also present at the event was Finesse FZ LLC - a global system integration company. “We are highlighting Qlikr, an end-to-end data management and analytics platform built to transform your entire business for the digital age. Qlikr helps enterprises around the world move faster, work smarter and lead with an end-to-end solution for getting the most possible value out of data. Our platform is the only one in the market that allows for open-ended curiosity-driven exploration, giving everyone at any skill level, the ability to make discoveries that lead to transformation.Dubai is one of the fastest growing markets in the world, and is very quickly adapting to the global digital scenario. It is a competitive market out here, and technology offerings need to truly differentiate themselves, to stay ahead of competition. We are very pleased that we had an opportunity to participate in this show, and look forward to participating again,” said Tanya Jain, Communication and Marketing Manager, Finesse FZ LLC. Other important exhibitors at the show included companies as Overdrive, a true IoT platform, targeting smart devices and sensors on the move, and Parsons- a digitally enabled solutions provider with a focus on making the world safer, smarter, healthier, more sustainable, and more connected. This year, Future Cities Show focused on five leading future city solutions, namely AI, blockchain, smart infrastructure, smart mobility, and sustainability. It also provided a platform to ensure that the latest technological projects will have the opportunity to secure medium- to large-scale investments.